Note: I received an e-ARC of this book in exchange of an honest review. I thought One Taste of Scandal was an adorable and heartwarming love story for the holidays. I also thought that it deeply conveyed the message that no matter how much unpleasantness is going in your life, once love has come in to your life and decided to stay there, you really have no choice but to follow along with it. I thought Heather Hiestand’s characters and conflicts were realistically written and that overall, it was a pretty great and heartwarming story to read. Especially on a cold winter’s day. And as a parting note, don’t read this book when you’re craving cake. Seriously, it does not help and not only am I now craving cake but I could also do with someone like Lord Judah Shield, honestly. 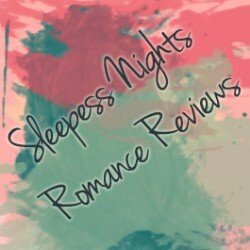 Read the full review over at Sleepless Nights Romance Reviews.